Hello there. My name is Joe Jenkins, and my passion is interior design. Ceiling fans are one of my favorite accessories when redesigning a room. Fans are not only functional, many of them are beautiful too. Finding a fan that matches your style is easy because there are so many designs out there. Choosing a fan for function, however, can get complicated. You need to choose one that perfectly fits the space that you plan to cool. If you have a sloped ceiling the fan that you choose will be very different from the one that you would purchase for a flat ceiling. Indoor and outdoor applications also demand different qualities. The size of the room and the height of the ceiling are just two more considerations.Some fans have features such as lights and remote controls. Fans work by moving the air around to keep the room cool. An air conditioner may be more effective in the hot summer months but it uses a fair amount of energy.A fan is a much more energy efficient means of cooling the room. It also doesn’t dry the air out. Most fans are reasonably priced and if they include lights can double up and replace your light fitting. The lights and fan work on separate switches so you can run them independently of one another. Many of the fans that you can purchase today also offer a reverse function which pushes warm air down, keeping the room a little warmer in winter. In this way, you can reduce your energy bill. Ceiling fan size – blade spans can range from 18 inches to 70 inches or more. The size that you choose should suit the size of the room. Your kitchen would typically have a smaller fan than your living room. Down rod – if you have high ceilings you should purchase a fan with a down rod. This allows you to suspend the fan some way below the ceiling. 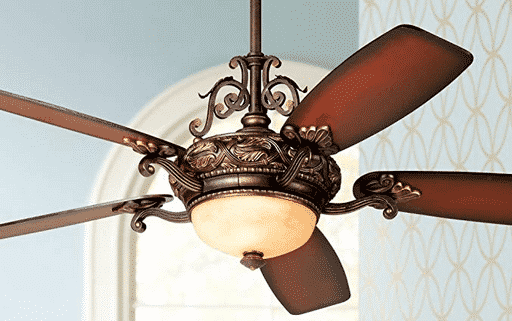 Low profile fans – you may want to choose one of these if you have a very low ceiling. Sloped ceiling adaptor – you can’t mount all models on a sloped ceiling so check with the manufacturer if this is your requirement. Energy efficiency – look for Energy Star rating. They cost no more than any other fan and they can save you a lot of money. Energy Star rating is an internationally approved stamp of energy efficiency. The number of blades – Fans come with between three and five blades. The main difference is visual so which one suits you comes down to personal taste. The number of blades can also affect the noise and efficiency. Indoor or outdoor – You cannot install an indoor fan outside. 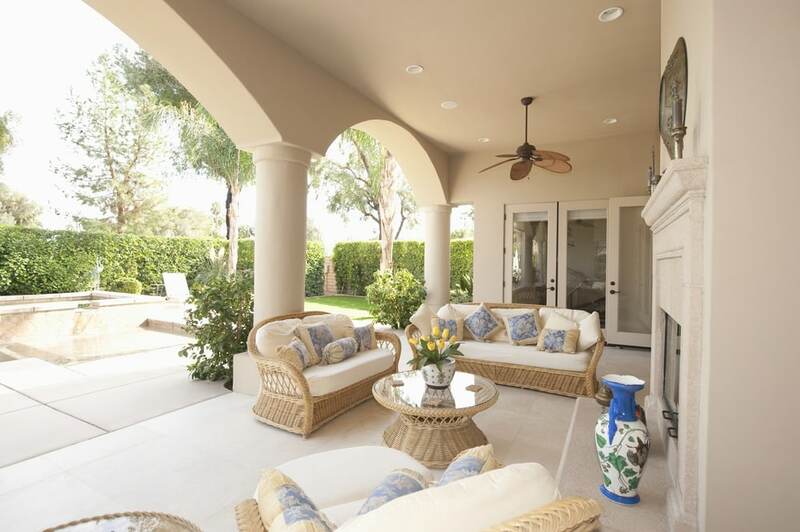 Outdoor fans are designed to withstand the elements. An outdoor fan will have been tested in humid and windy conditions. It must be damp rated. When buying a fan,you get what you pay for.The more expensive models come in beautiful designs with high-efficiency motors that have several speeds.They operate quietly even when moving large volumes of air. When you install a fan, you expect it to last for years so I suggest that you choose carefully and purchase one with all the features that fit your requirements. Also, make sure that it has a decent warranty. Since many come with a Lifetime warranty on the fan motor, I would settle for nothing less than fifteen years.